United States Non-Invasive Prenatal Testing(NIPT) Market is likely to reach nearly USD 1 Billion by the year end of 2023. Market growth can be attributed to factors such as rapid penetration of high and average risk NIPT test, high incidence rate of babies born with down syndrome, no risk of miscarriage with NIPT, shifting trend towards child bearing at advanced maternal age (35 years or older), launch of new and advanced NIPT products. With increased patient access to NIPT test, United States NIPT test market is anticipated to have a positive outlook in the coming years. 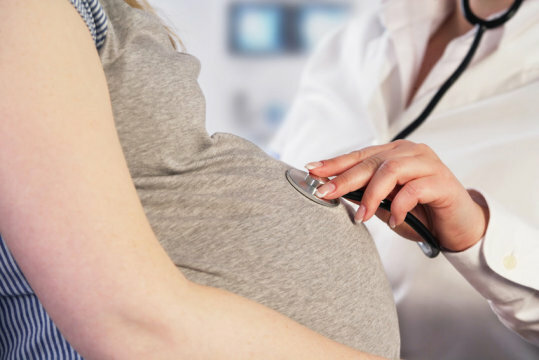 The research report titled “United States Non-Invasive Prenatal Testing(NIPT) Market Insights, Opportunity, Analysis, Growth Potential & Demand Forecast 2017 – 2023” examines the market, competitive landscape and trends of the United States NIPT Test Market. The study provides an in–depth analysis of the actual and potential NIPT test market. The report provides a decisive view on the NIPT Test volume and market in United States. It also covers reimbursement pattern and offers a clear view of the regulatory landscape in the United States NIPT Test Market. Additionally, the report includes insights into the NIPT implementation in the high-income countries. Key trends in terms of collaboration, partnership, merger & acquisition, venture capital investment distribution and licensing agreement are analyzed with details. The report also explores detailed description of growth drivers and inhibitors of the United States NIPT Test Market. The report concludes with the profiles of major players in the United States NIPT Test Market. The key market players are evaluated on various parameters such as company overview, NIPT test portfolio, NIPT test analysis with volume and market revenue and latest development and trends of the NIPT Test Market.